Mrs. Magda El Sanousi is the Chief of Women's Empowerment Section at the United National Support Mission in Libya (UNSMIL). A gender and development expert, Magda leads on developing strategies to enhance the role of women throughout the transitional period in Libya, focusing mainly on the drafting of the constitution and the National Dialogue. 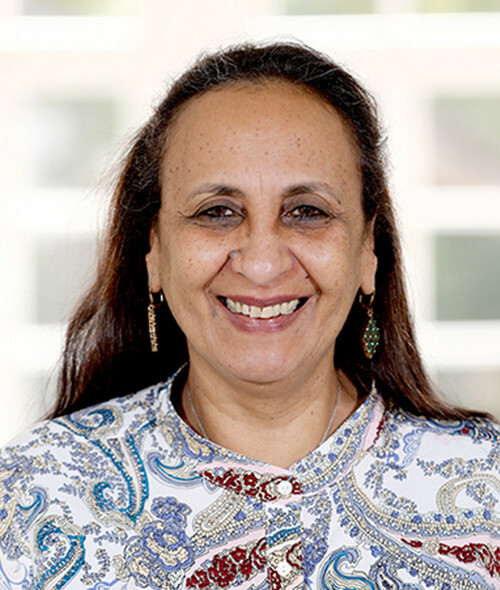 She has previously served as the country director of Oxfam GB in Lebanon and managed the Arab Region Gender Equality program that covers: Lebanon, Jordan, Egypt, Iraq, Occupied Palestinian Territory, and Yemen. Magda dedicated the last 20 years for the development of programs and the mobilization of resources that empower women. Her work focuses on promoting gender-sensitive budgets and policies in Yemen, empowering women in remote villages in Egypt to vote, and even to stand as candidates in the parliamentary elections. Magda is a graduate of Ahfad University for Women in Sudan, and she has completed two Master’s degrees from Sussex University in the UK in Gender and Development, as well as Rural Development.